What’s with all these poets born in September? Clearly many poets’ parents were having a very merry Christmas, happy Hanukkah, or happy new year in years gone by! All of these poets were born in September: Helen Frost, Paul Fleischman, Jack Prelutsky, Aileen Fisher, Sara Holbrook, Harry Behn, and Shel Silverstein. 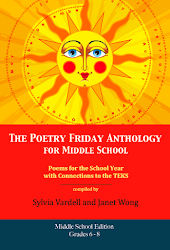 Let’s celebrate one more September poet’s birthday: Janet S. Wong! Janet S. Wong was born on September 30, 1962, and grew up in California, the child of Korean and Chinese immigrants. She graduated from UCLA with a bachelor’s degree in History and then obtained her law degree from Yale. However, she was not happy practicing law and decided to make a change, focusing on writing for young people instead. 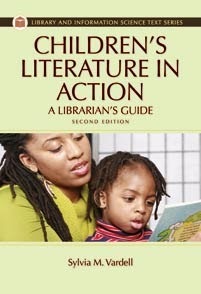 She has since authored nearly two dozen picture books and poetry collections. Her poems have been featured in some unusual venues, including a car-talk radio show, on 5,000 subway and bus posters as part of the New York City Metropolitan Transit Authority's "Poetry in Motion" program, and on the “Oprah” television show. She and her books have received numerous awards and honors, such as the International Reading Association's "Celebrate Literacy Award" for exemplary service in the promotion of literacy. 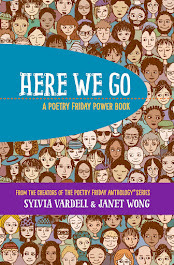 Janet Wong’s first two poetry collections, Good Luck Gold and Other Poems (Simon & Schuster, 1994) and A Suitcase of Seaweed, and Other Poems (Simon & Schuster, 1996) focus on her own background, exploring cultural connections and growing up with Korean and Chinese traditions. Many of the poems in these two collections lend themselves to poetry performance. For example, try "Face It" (A Suitcase Of Seaweed) with three stanzas that reflect the writer’s musings on her nose, her eyes, and her mouth and how each represents a different part of her identity. Three groups could each read a different stanza, using motions to point to each body part in turn. short and round, a Jang family nose. 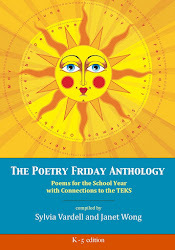 Wong also has authored several poetry collections on a variety of other topics. Behind the Wheel: Poems About Driving (Simon & Schuster, 1999) is a wonderful gift for the teenager who is learning to drive. The Rainbow Hand: Poems About Mothers and Children (Simon & Schuster, 2000) is an homage to mothers and our relationships with them and includes perfect “Mother’s Day” poem tributes. Wong has two collections of poems that address children's curiosity about dreams and superstitions with Night Garden: Poems from the World of Dreams (Simon & Schuster, 2000) and Knock on Wood: Poems about Superstitions (Simon & Schuster, 2003). Both are beautifully illustrated by Julie Paschkis and invite children to express their own beliefs and concerns-- perhaps poetically. 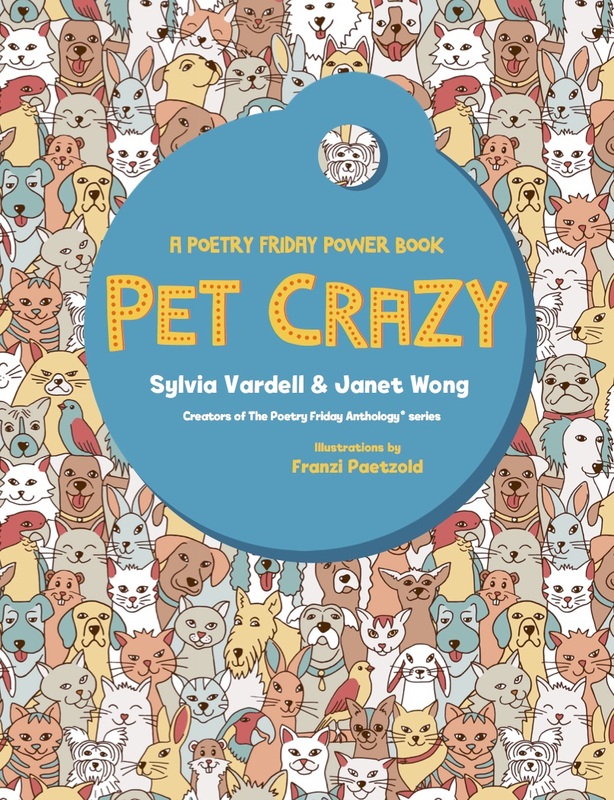 Wong and Paschkis also teamed up for a third illustrated poetry collection this year, Twist, Yoga Poems (Simon & Schuster, 2007), which School Library Journal called “lovely to listen to and to look at.” For more information about Wong and her work, check out Poetry People. Tuesday, March 20, 2007 about her online chat with kids and her new photo-autobiography, When It Wriggles Away. 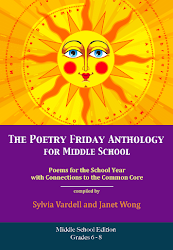 Thanks to AmoxCalli for hosting the Poetry Friday Roundup this week. I had the opportunity to meet the talented and effervescent author and illustrator Grace Lin this spring when we were on a panel together at the Texas Library Association conference. Her husband, Robert Mercer, was desperately ill and sadly passed away a month ago at the too-young age of 35. My good friend Nancy also lost her husband to cancer this summer. Grief has been weighing on many I care about recently, so I sought a poem for solace, of course. Hughes, Langston. 1994. The Dreamkeeper and Other Poems. New York: Knopf, p. 12. I would also like to join in the promotion of Robert’s Snow: For Cancer’s Cure, the fundraising effort that Grace initiated several years ago. From the Web site: “Own a piece of art from your favorite children's book illustrator while helping to fight cancer” by buying an original snowflake ornament created by children’s book illustrators. “Since 2004, this online auction has raised over $200,000 for Dana-Farber, and with your help, we can continue this holiday tradition in 2007.” The auction begins in November. And for more information about Robert himself, check out the Blue Rose Girls blog. For the whole Poetry Friday roundup, go to Sara Lewis Holmes' blog Read Write Believe. And my most sincere regrets about hair on that nice wool suit. they were on the floor. P.S. Have you seen my chew bone? I was sure that I’d left it on your pillow? Just for fun: Kids can investigate the drawing contest sponsored by the American Kennel Club. They could make their own drawings of their dogs, another pet, or a pet they might like to have some day. Also for more information about adopting pets that may not be “pedigreed,” they can investigate how to find homeless dogs or cats from area animal welfare organizations across the country. Or some kids may simply want to adopt a virtual pet, or for just plain puppy silliness, choose their favorite dog picture! *Jane Yolen. Raining Cats and Dogs (Harcourt, 1993). 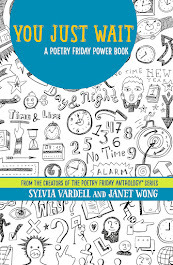 Hey, poetry lovers, check out the Poetry Friday round up at HipWriterMama's! Tomorrow is Jack Prelutsky’s birthday, so I’d like to send him a happy shout out and celebrate his life and work with a brief post. He was born on September 8, 1940, in Brooklyn, New York. He attended Hunter College in Manhattan and worked as an opera singer, folk singer, truckdriver, photographer, plumber’s assistant, piano mover, cab driver, standup comedian, and more. He is married and lives in Seattle. He enjoys photography, carpentry, and creating games and "found object" sculpture and collages. He collects frog miniatures, art, and children’s poetry books of which he has over 5000. Prelutsky has garnered many awards in his long career including citations as: New York Times Outstanding Book of the Year, School Library Journal Best of the Best Book, International Reading Association/Children's Book Council Children's Choice, Library of Congress Book of the Year, Parents' Choice Award, American Library Association Notable Children's Recording, an Association for Library Services to Children Notable Book and Booklist Editor's Choice, among others. In 2006, he was honored as the first Children’s Poet Laureate by the national Poetry Foundation which included a $25,000 prize. His combined works have sold over a million copies and been translated into many languages. Jack Prelutsky is a prolific writer, with many collections of poetry to his credit, including enormously popular anthologies he has compiled of other poets’ works, such as The Random House Book of Poetry for Children (Random House 1983), Read-aloud Rhymes for the Very Young (Knopf 1986), The Beauty of the Beast (Knopf 1997), and The 20th Century Children's Poetry Treasury (Knopf 1999). In addition, there are many collections of his own popular poetry available including books organized around topics such as Tyrannosaurus was a Beast: Dinosaur Poems (Mulberry 1993) and The Dragons are Singing Tonight (HarperTrophy 1998). 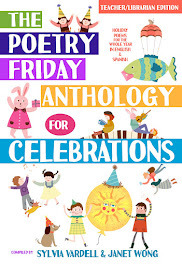 His holiday poems are also very appealing: It’s Halloween (HarperTrophy 1996), It’s Christmas (HarperTrophy 1995), It’s Thanksgiving (HarperTrophy 1996), and It’s Valentine’s Day (HarperTrophy 1996), also available in one single audio anthology from HarperChildrensAudio (2005). And for younger children, he created a kind of “American Mother Goose” with nursery rhymes that reference cities and places in the United States, rather than European sites such as “London Bridge” or “Banbury Cross” in his collections, Ride a Purple Pelican (Greenwillow 1986) and Beneath a Blue Umbrella (Greenwillow 1990). Jack Prelutsky became established as a poetic dynamo with the publication of The New Kid on the Block in 1984, his best-selling collection of 100+ poems illustrated by cartoonist James Stevenson with understated comic genius on every page. 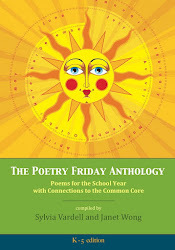 With poems that are nearly childhood standards now, like “Homework! Oh, Homework!” and “Bleezer’s Ice Cream,” the music of Prelutsky’s verse is irresistible. Since the publication of New Kid, he rivals Shel Silverstein for name recognition in the field of children’s poetry. Equally popular companion books followed, including Something Big Has Been Here (1990), A Pizza the Size of the Sun (1996), and It’s Raining Pigs & Noodles (2000). A fifth installment is slated for publication in 2008: My Dog May Be a Genius. 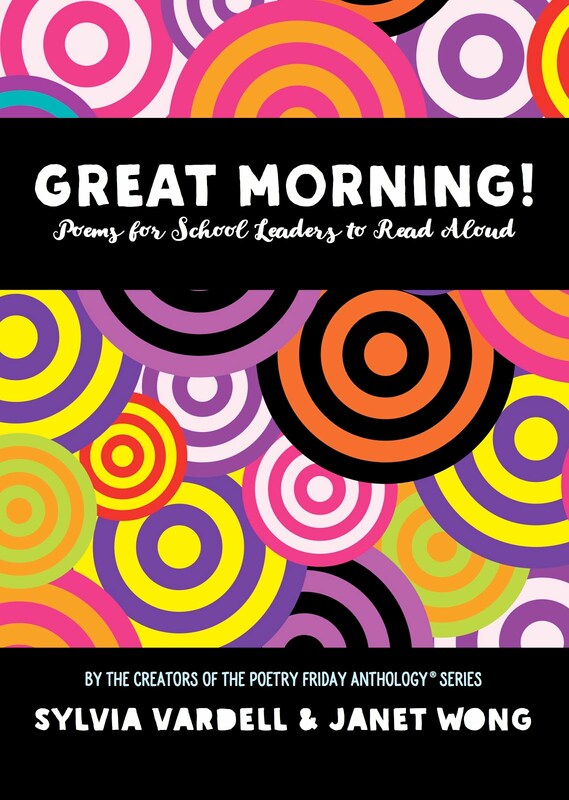 Many of Prelutsky’s poems lend themselves to choral reading and poem performance in a variety of ways. For example, his poems with repeated lines or refrains provide a natural opportunity for group participation on the refrain. One of my favorite strategies for performing Prelutsky’s poetry is singing. Count the beats in the first line or two of the poem; then count the beats in the first line or two of the song to see if they match. Many of Jack Prelutsky’s poems, in particular, match song tunes, which may not be surprising when one remembers he was a singer and musician before turning to poetry. Try his poem “Allosaurus” (from Tyrannosaurus was a Beast: Dinosaur Poems), a poem describing the ferocious qualities of this dinosaur sung to the tune of “Row, Row, Row Your Boat.” It’s a hilarious juxtaposition of lyrics and tune. 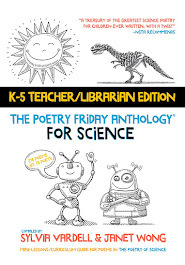 Challenge the children to match other of his dinosaur poems to song tunes. made mincemeat of its neighbors. and guzzled blood by gallons. then rushing off to dinner. For more about Jack, his life, and his work, check out his new web site and look for Poetry People; A Practical Guide to Children's Poets (Libraries Unlimited, 2007).